Durable and secure CPU holder. Jaw is an elegant CPU holder that has a sleek aluminium body to securely clamp and suspend the CPU under a desk, creating the illusion of it floating under the work surface. Jaw is a simple space saving solution to remove the CPU from the desk and off the floor, away from potential damage from dust, feet and vacuum cleaners. Cable access and CPU ventilation. When combined with one of the CBS CPU fixings, Jaw can rotate 360° to provide easy access to cables. 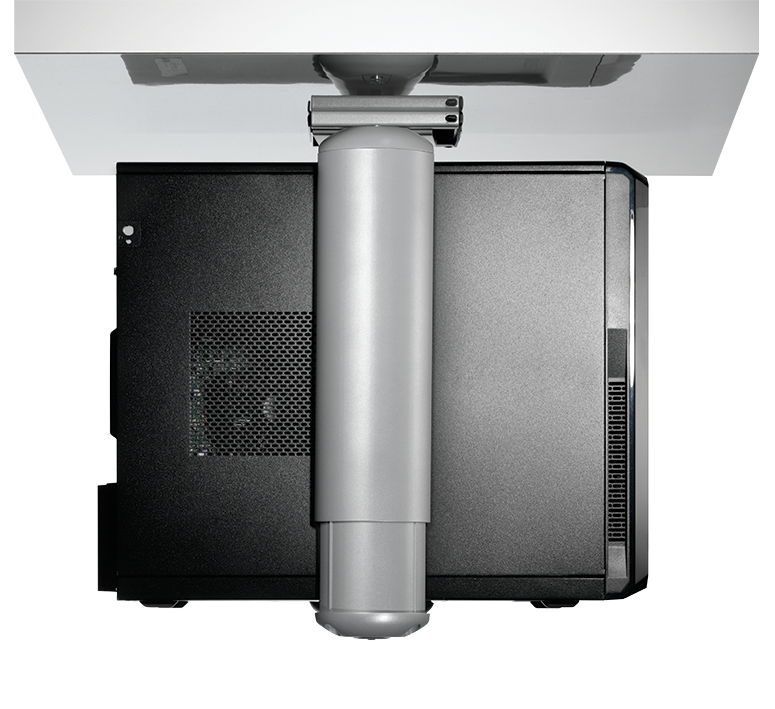 The secure Slide and Rotate fixings also allow Jaw to be pushed along the bracket runner to either push the CPU further under the desk, or bring it forward for easier access from chair level.